Damien Lecarpentier has an MA in Political Science and PhD in Social Sciences from the Advanced School of Social Sciences in Paris. He joined CSC as coordinator for international activities in January 2009. He has been involved as work package and task leader in policy work and outreach activities in major FP7-funded projects in the areas of grids (EGI_DS), HPC (DEISA2, PRACE, EESI) and e-Infrastructure policy (e-IRGSP2, e-Infranet). 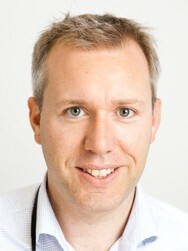 He is currently managing the EUDAT project (www.eudat.eu) which aims to build a sustainable cross-disciplinary and cross-national data infrastructure providing a set of shared services to access and preserve research data.